Dr. Ece Özlem Atikcan is an Associate Professor in PAIS and a Visiting Senior Research Fellow at the European Institute of UCL. Click here to view Ece Özlem Atikcan’s home page. 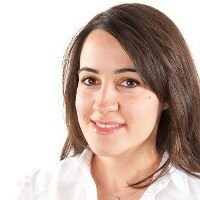 Ece Özlem Atikcan joined the department in September 2016 from Université Laval in Quebec Canada, where she was an Assistant Professor in the Department of Political Science. Her research combines a theoretical focus on political campaigns, issue framing, lobbying, transnational social movements, and diffusion with a regional focus on the European Union. She has extensive fieldwork experience in Spain, France, the Netherlands, Luxembourg, Belgium, Denmark, and Ireland. Based on over 180 in-depth interviews with campaigners, media content analyses and public opinion data, she studies EU referendum campaigns to understand the impact of campaign argumentation on public opinion. Her work has appeared in European Journal of Political Research, Journal of Common Market Studies, Journal of Elections Public Opinion and Parties, Journal of Public Policy, Journal of European Integration, and as a book with Cambridge University Press. She completed her B.S. in International Relations at the Middle East Technical University before obtaining her M.A. in European Law at the University of Sussex, and a Ph.D. in Political Science at McGill University. Framing the European Union: The Power of Political Arguments in Shaping European Integration, (Cambridge University Press, October 2015). 'Emotions, Cognitions and Moderation: Understanding Losers’ Consent in the 2016 Brexit Referendum', Journal of Elections Public Opinion and Parties, forthcoming. Co-authored with Richard Nadeau and Éric Bélanger. 'Choosing Lobbying Sides: The General Data Protection Regulation of the EU’, Journal of Public Policy, forthcoming. 'Agenda Control in EU Referendum Campaigns: The Power of the Anti-EU Side', European Journal of Political Research, vol.57, no.1, 93-115, February 2018. ‘The Puzzle of Double Referendums in the European Union’, Journal of Common Market Studies, vol.53, no.3, 937-956, September 2015. ‘Diffusion in Referendum Campaigns: The Case of EU Constitutional Referendums’, Journal of European Integration, vol.37, no.4, 451-470, February 2015. ‘Referendum Campaigns in Polarized Societies: The Case of Turkey’, Turkish Studies, vol.13, no.3,449-470, September 2012. ‘European Union and Minorities: Different Paths of Europeanization?’, Journal of European Integration, vol.32, no.4, 375-392, July 2010. Co-edited with Jean Frédéric Morin and Christian Olsson. ‘Referendums on European Integration’, in Matt Qvortrup and Laurence Morel, eds., Direct Democracy: The Research Compendium on Referendums, Initiatives and Public Participation (Routledge, forthcoming). ‘Les référendums et les élections européennes’, in Olivier Costa and Frédéric Mérand, eds., Traité d’études européennes, (Larcier, forthcoming). ‘Direct Democracy: Remedying the Democratic Deficit?’, in Finn Laursen, ed., The EU and the Eurozone Crisis: Policy Challenges and Strategic Choices (Routledge: 2013). ‘Political Contestation about International Economic Agreements: Lessons for the Canada-UK Trade Relationship after Brexit‘, Final Report for the SSHRC/ESRC Knowledge Synthesis Grant Initiative, Ottawa, Warwick and London, November 30, 2018. Co-authored with Achim Hurrelmann, Adam William Chalmers and Crina Viju-Miljusevic. ‘Brexit Divisions: What You Ought to Know about EU Referendums and the UK Debate?’, openDemocracy blog, March 2016. ‘The Puzzle of EU Referendums’, openDemocracy blog, March 2016. ‘Asking the Public Twice: Why Do Voters Change Their Minds in Second Referendums on EU Treaties?’, European Politics and Policy (EUROPP) blog, The London School of Economics and Political Science, October 2015. ‘Citizenship or Denizenship: The Treatment of Third Country Nationals in the EU’, Sussex European Institute Working Papers, no.85, May 2006. ‘Is Brexit Definitely Going to Happen?’, video explainer, The Guardian, 24 August 2018.